The festive season is almost upon us. So to help reduce the stress of selecting the perfect gift, our co-founder Fraser came up with his top 7 style picks for men this Christmas. What could be more traditional than the gift of socks at Christmas? 33 (Treinta y Tres) use outstanding quality durable materials which will impress the lucky recipient well beyond the festive period. Distinctive, comfortable and classy - what more could a man want? Uppercut produce a comprehensive range of men’s barbershop products, with the styling products being our favourite. Pomade, Featherweight, Matt Clay and Monster Hold varieties each suit specific looks and hair types. All varieties have a high-quality aroma and great texture as you work them into your hair. Italian luxury brand Bulgari may be most famous for their jewellery and handbags, but they also produce some of our favourite aftershaves. AQVA and BVLGARI MAN are both great high-end fragrances for young men. Preppy, classy, or lighthearted? 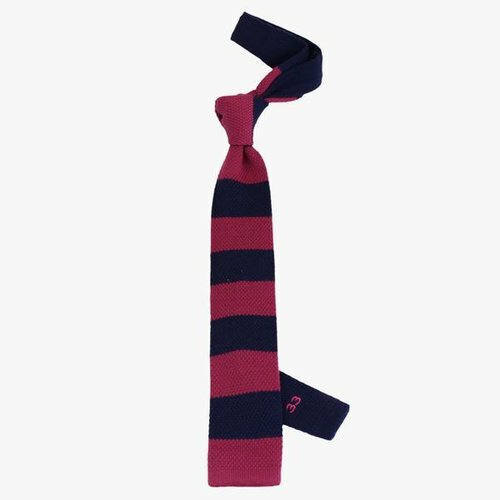 Whatever the mood, the knitted skinny wool tie is a perfect choice. Available in a choice of colours to match any shirt or jacket, the classic thick stripes can project a smart look for an interview or work, and a more laid-back feel for a night-out. Someone Somewhere’s caps combine embroidered patterns with modern construction. They have the style for trendy trips around the city and the strength for outdoor adventures. The caps are produced by artisans in rural Mexico and feature the name of the craftsperson on a label inside. Established in 1854, this traditional gentlemen’s grooming company still produce some of the finest shaving products in the world. Based in the heart of London’s Mayfair, their shaving creams and brushes are traditionally packaged, making them a great gift. Solidly constructed with a stainless steel casing, the watch works well with both casual and formal looks. It also comes with three straps making it easy to match with a variety of outfits. It is delivered smartly presented in a dark blue box.